Handcross, Haywards Heath, West Sussex, RH17 6EB. 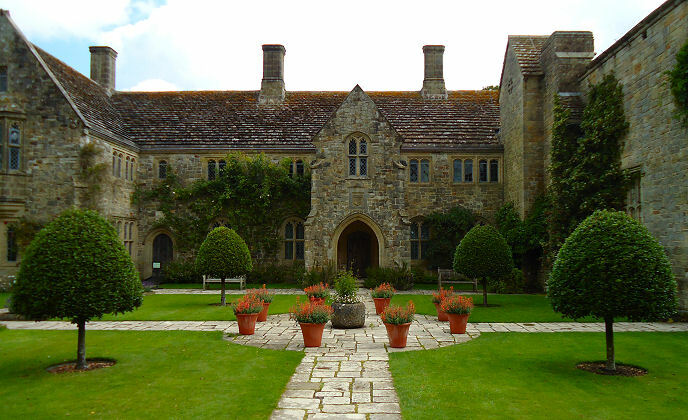 Nymans is for those who don’t mind a good walk. It depends of course which direction you take from the entrance and gift shop. You might take the path through the woods and eventually you come up to a bit you know. The famous four crowned specimens in the enclosed garden for instance. 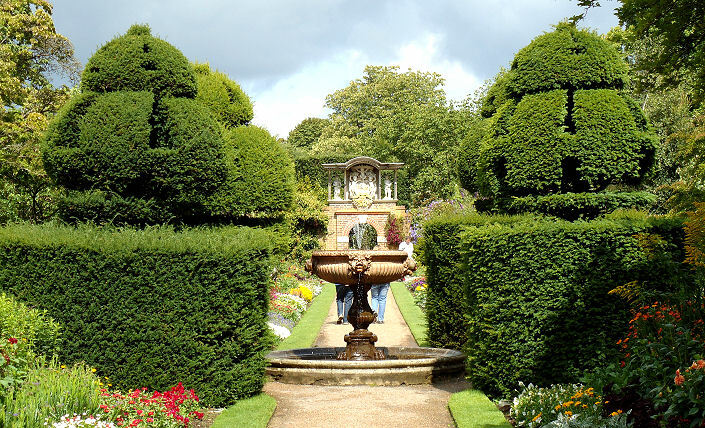 This is a signature of Nymans and well worth seeing but there isn’t an abundance of topiary elsewhere. 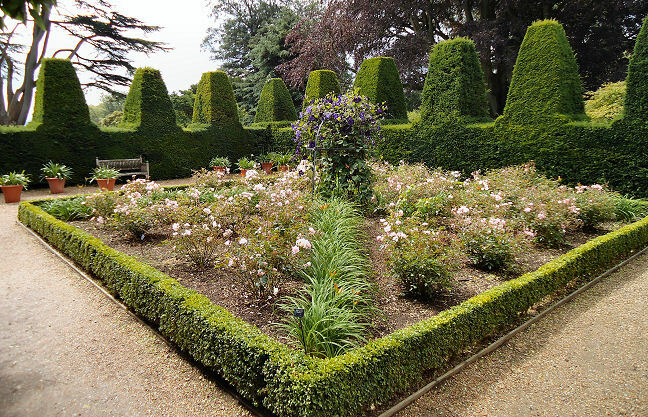 The enclosed garden with the yew signature specimens has some fine planting and a Dutch grid pattern of paths which make you want to walk round to see everything from different angles but there is a sense that you are being slightly short changed as this garden is completely separate in tone and position from the surrounding areas. There are other gardens and some like the one in the hollow down the way from the front of the house will keep the children amused. It has a mound which you can climb onto to get a view of the proceedings below. The box specimens in front of the house are Art Deco in feel in keeping with a house from the Twenties and give a grandeur to the place like an aristocratic game of chess. Have you seen enough yet? 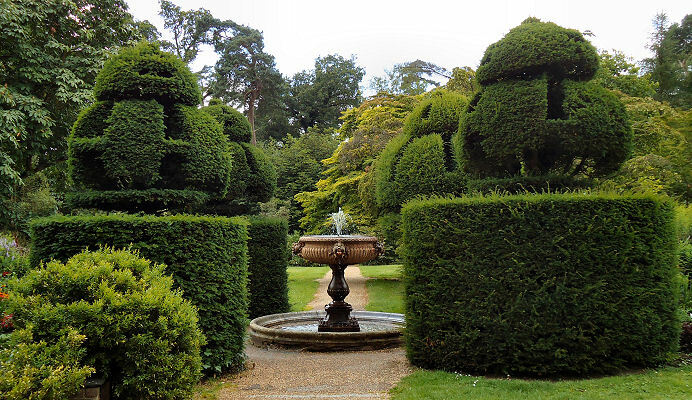 The walled garden has a fine battlemented yew hedge with pillars as tall as you will find anywhere and this is a great place to sit on a summer’s day. 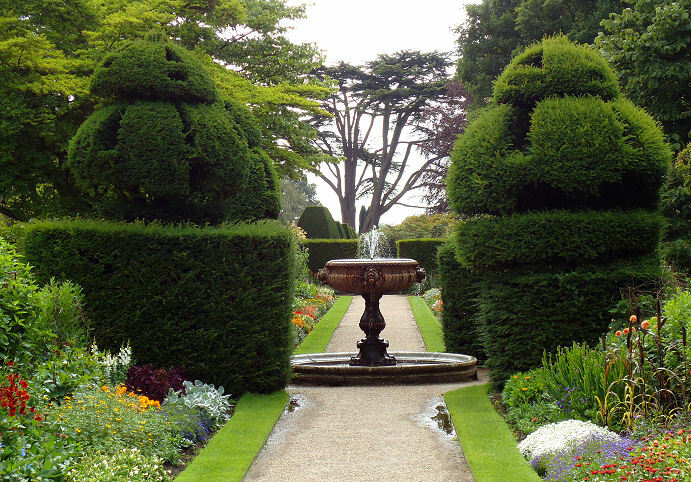 You can pretend you are Alice in Wonderland or simply admire the open parterres. In the woodland area you will come across modern sculpture in box which actually works quite well although it seems to have been dropped into place from outer space. Then you walk from the future back through the kitchen gardens and past the box shed to the gift shop. This is a place to suit all tastes and for those who require open space or to be hemmed in. 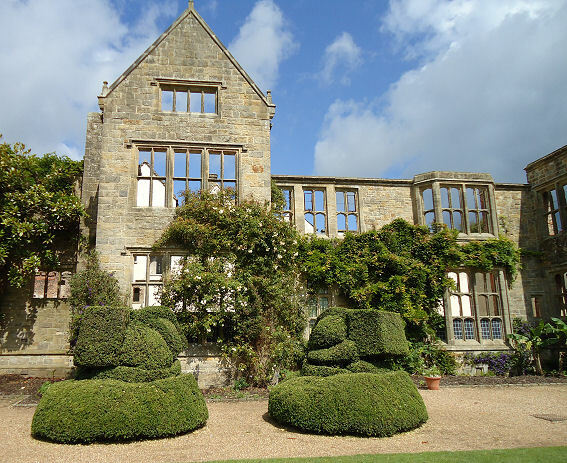 I can’t help feeling though that although the best bits are very good there is no overall whole sense that you might get at Hidcote, Sissinghurst or Levens.